Let's say I somehow got transported to medieval times. I have my phone, laptop or other devices with rechargeable batteries, but I forgot to take my solar chargers. Luckily, my every device is powered by standard micro USB cable, which I happen to have with me. I know that USB uses 5V direct current, from 0.5A to 2A. To create current, I can use magnets and copper wires, which are luckily sold by local merchants (wires) and magicians (magnets). This will, however, give me alternating current. Using some diodes I could convert it, but semiconductors aren't readily available in my local medieval shop. Next problem is, I need very specific and stable voltage. Definition of ampere won't help me unless I get two wires of infinite length. So question is: How can I create a stable current source to charge my electronic devices without exploding the batteries? This is related to question asked in I was thrown into the middle ages, how do I power my time machine? , but answers there don't seem to say much about voltages used. Phone batteries might need pretty specific voltage, and I'm mainly interested how I can either check the voltage of my source or build one having stable 5V (or some other that won't destroy my batteries). A Galavanic cell , which uses chemicals which are available during medieval times . This electrolytes in this case is zinc sulfate and copper sulfate , but it can be also any other thing which has ions in it like maybe urine . 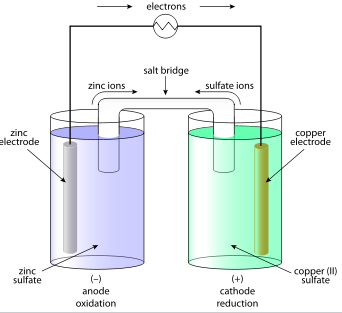 Correct Voltage maybe obtained by trial and error method by varying the concentration of the electrolyte . resulting would be around 5V. It looks like your primary problem is measuring voltage accurately which is tricky with only medieval resources at your disposal. The actual construction of an analog voltmeter is actually not too hard, if you have measured components. If you look at the Wikipedia page for Voltmeter you can see that you can make an analog voltmeter by just adding a resistor to a galvanometer, which is essentially a compass. You can then calibrate the voltmeter with you phone's battery, hopefully you can remember what the voltage is and that it can be taken out. Your biggest problem here is finding a resistor of a known resistance. You'll probably need to cannibalize some of your own electronics to find one, because you'll need to know the resistance pretty well if you want to get an accurate volt reading. The thing you need is a Voltaic pile. It's very simple and you can make it out of any two different metals that you have available. Copper and zinc would be best but copper & iron will work. The advantage is that you don't need to be able to measure the voltage - just add more layers until the charging light comes on your phone. Depends where you are. If you're in Southern Italy you can probably get hold of lemons. Add copper and iron nails and you have a simple cell. Chain them in parallel or series till you get the required voltage & current. Unless you are an electrical engineer, you don't. There are too many smart en creative engineers between you and the medieval tech you find yourself in for one man (or woman) without the right knowledge to create the right electricity (voltage & amperage, etc). If you take the path of chemicals, you will have to work with acids. Good luck and have fun! Corrosive stuff, protect your skin and eyes. But you don't have the modern gear and probably don't know how to make them. How to game without eyes? Water wheel / windmill is safer(ish). Big moving parts that can crush you with ease. Remember, no workplace safety guidelines! Gaming with missing fingers can be interesting, I'll grant you that. And to get the right voltages is no mean feat. And you have very little or no way of checking the current. And that leads me to power spikes. Your modern gear trusts its power source quite a bit. And the medieval power source you created is anything but stable. Prepare to damage, short circuit or otherwise kill your beloved gear. Then what to do? Turn off your gear, and try to get back to a time where you have a stable power supply. Maybe turn up at Alexander Graham Bell's door, he might be able to help you. Tesla will work for sure. If you're in a medieval fantasy setting with magic, you might be able to use necromancy magic to turn your dead battery into an undead battery, and power your phone that way. Following on from AmruthA's answer, you are better building a voltaic pile, rather than two half-cells in jars. These are stacks of zinc-felt-copper discs, with the felt is soaked in brine. A diagram of them looks like this https://upload.wikimedia.org/wikipedia/commons/0/06/Voltaic_pile.svg (stackexchange isn't letting me upload the image). Zinc was purified by 1300 in India, but pure zinc wasn't exported to Europe until 1600. 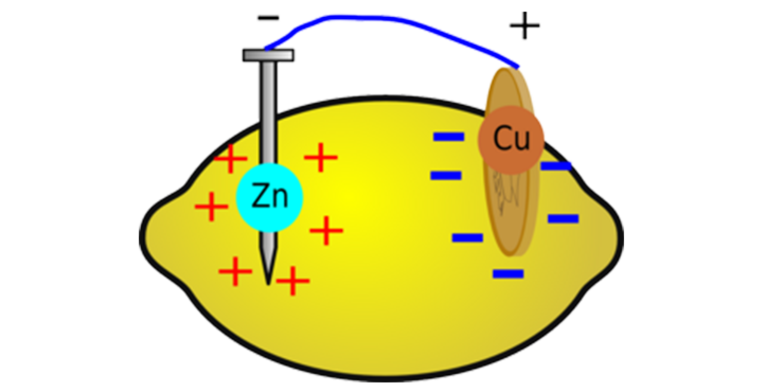 A zinc-copper pile produces about 0.7V per cell. In the absence of zinc, you could use copper-tin, but that produces a considerably lower voltage, about 0.13V per cell. However, tin was readily mined in Cornwall (SW England). A LiPo/LiIon battery is never ACTUALLY discharged to 0V (this would leave it beyond repair) - your discharged battery (if you can access the battery terminals directly) can be used as a voltage reference of close to 3V per cell, so you can compare other voltage sources (eg by a bridge circuit - all you need is SOME voltage indicator (headphones!) and some changeable resistor (eg carbon)). Also, so called "charger" plugpacks are almost never the actual charger - which is in the phone/laptop, and which will take care of handling the battery correctly unless you feed it GROSSLY out of range voltages. Telegraphy was the first electrical technology to spread (widely) beyond the laboratory. It was entirely powered by batteries at each station along the (iron) wire. If you plan on smelting your own Zinc, be advised that the fumes present a health hazard. For this reason, Welders are told early on to avoid welding Galvanized Steel. As you have remembered to bring your electronic amusements, your best choice is to remember to bring solar cells, and hand- or wind-cranked generator(s). Lets just take a second to think about the implications of this during that time period. electricity in a time where you would be killed for any number of reasons including looking at a king or queen wrong. I would ditch the phone and use my engineering experience to carve out a kingdom of my own. Build infrastructure, machines, unfortunately weapons will be needed. As an engineer i am sure you know the basics behind a rifle and can work one together in some fashion. keep in mind you know how to make steel. so a better question is why do you want a useless phone when you can rule the damn world. According to sources a single lemon battery cell creates around 0.9V in voltage. If you add 5 of them in series you should get some 4.5V which might be enough. Then simply scale the entire thing up in parallel to increase the current until you reach the needed amperage for your phone. You can construct a voltaic pile, an early battery. All you need is copper, zinc, and salt water, all of which can be found in medieval times. Each copper/zinc/salt water soaked rag produces .75 volts. Put seven together in series, and you have 5.25 volts, enough to charge the phone... (they charge using 5 volts DC through the USB port). Not the answer you're looking for? Browse other questions tagged medieval electricity or ask your own question. I was thrown into the middle ages, how do I power my time machine? How to measure projectile speed in Antiquity and Medieval times? Which professions warranted travel in Medieval times? What would a recession look like in medieval times?